My first years in Santa Barbara were so funny! For months I would dress each morning in a nice shirt and tie and go to church. From church I would go out to visit people at their work locations or local restaurants and would be asked the same curious question when I showed up: “Where are you going so dressed up? Did someone die?” The normal dress code for pastors in Minneapolis when I left in 2005 was a tie during the week (without a coat during warm weather) and a suit and tie for informal churches on Sundays and robes and stoles for more formal churches. It took me a while, but I am now understanding and enjoying the dress protocol for Santa Barbara and MCC, though I must admit I miss wearing robes and stoles at times! So, while we might call Santa Barbara continuously casual, there are quiet protocols for dress and behavior. There is a “look” that is distinctive here. There is a wedding look and a funeral look. There is a Fiesta Days look and a Film Festival look. There is a Butterfly Beach look and a Lobero Theater look. A big question asked before an event is “How shall I dress? What should I wear that is proper?” We want neither to underdress or overdress. We want to be appropriate to our guests and the event we are attending. 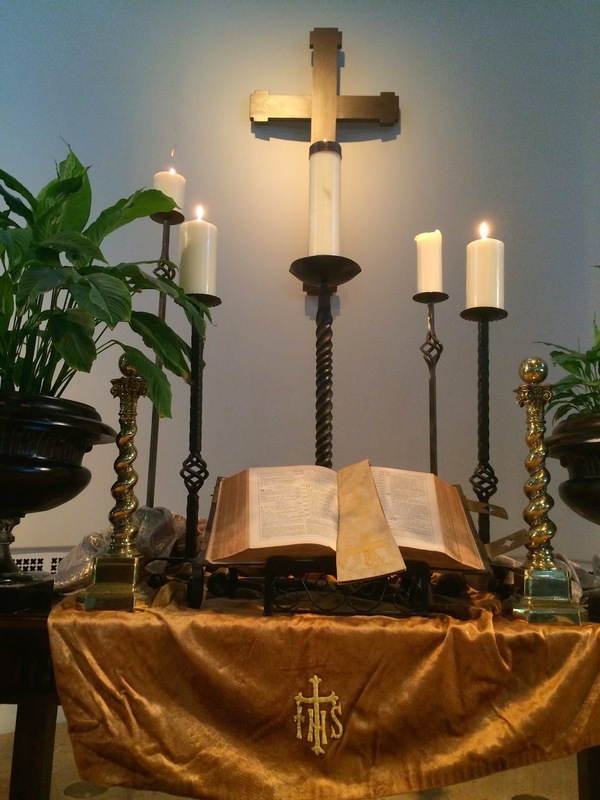 The text for Sunday lists the protocols for worship. It sets down the “dress code” for those who enter into God’s presence to worship. If you have time, you can read a group of Psalms called “kingly Psalms” (93-99) with our text (Psalm 100) being the last one. As you read these five brief verses over, what jumps out at you as the “dress code” or protocol for worship? What are you doing well and what needs to be done better? There is a picture in my office of Martha sitting on stone steps in the biblical city of Corinth. The ongoing excavation site of Corinth reveals a complex and sophisticated city told through the exposed stones. Our biblical travels have exposed me to ancient stones with stories: the Jerusalem Temple wall, the Areopagus and Parthenon in Athens, the colosseum Ephesus. I have an enduring fascination with the old stones of churches around the world, particularly in southern France. How many generations of faithful pastors and priests have guided these churches through wars, famines and crises? The preacher for this Sunday is Dr. David Kersten, Dean of North Park Theological Seminary. Dave is a seasoned Covenant pastor, having served four churches around the country. He was my parents’ pastor in St. Paul, MN before he accepted the position of being pastor to all pastors, Executive Minister for the ordered ministry for ten years. For the past three years he has been the Dean of the seminary, whose task is to shape and guide new pastors. Dave spoke to Santa Barbara pastors on Thursday morning at the Samarkand with a powerful word for those of us in pastoral ministry. The text Dave is preaching from at MCC on Sunday morning is Isaiah 51:1-6. And it’s all about the touchstones of our faith. He shared a bit with me about where he hopes to take us in worship and I’m very excited to have him preach to us. This is a Sunday on which you should consider inviting a friend! My inner Catholic escaped today. I attended the funeral mass of a local man whose wife attends the church I serve. Theirs was one of those wonderful agreements to live within two faith communities: Covenant and Catholic. I officiated at the marriage of one daughter and buried the wife’s mother. He would occasionally attend worship here and she would join him there. His funeral today was there; at the Mission of Santa Barbara. After the organ prelude, two acolytes processed from the front of the sanctuary, one carrying a Christ candle and the other a cross. The two robed priests followed them, leading the family members to the back of the church, where the casket sat next to the big baptismal font. The American flag was removed from the casket and the priest took a brass stick that dipped into the baptismal font. He then announced to the congregation that Tom entered the Christian life through the waters of baptism and now his baptism is complete. With that he sprinkled the casket three times with the water. Then the priest gave the casket pall (a linen covering embroidered with a cross) to the women to cover the casket. The organ began to play and the acolytes led the pallbearers with the casket, followed by the priest and family to the front of the church. After the opening prayer, the priest invited the widow to come with her family and enter Tom’s name in the book of life, which catalogues the deaths of parishoners. Why did it touch me so much? What hit me so hard was how this service acknowledged the body and honored it within worship. The Evangelical tradition in the West Coast avoids the body, almost fearing its presence. What we do is privately bury the body as a family ritual (often without the pastor) and then conduct a memorial service to the loved one’s life with slides and videos, songs and testimonies. All that is not wrong, per se, except in the avoidance of the body and the reality of death. Our culture today does not even use the word “die” but instead talk of someone’s “passing”, which seem so much nicer and neater, like passing the bread from one diner to another. I like rituals that are handed down over generations with meaning and not invented new at every occasion. I like being part of a deeper stream. That’s one of the reasons why the four church gathering here in Montecito, called the M-4 (Roman Catholic, Episcopalian, Presbyterian and Covenant) allow me access to these richer heritages.